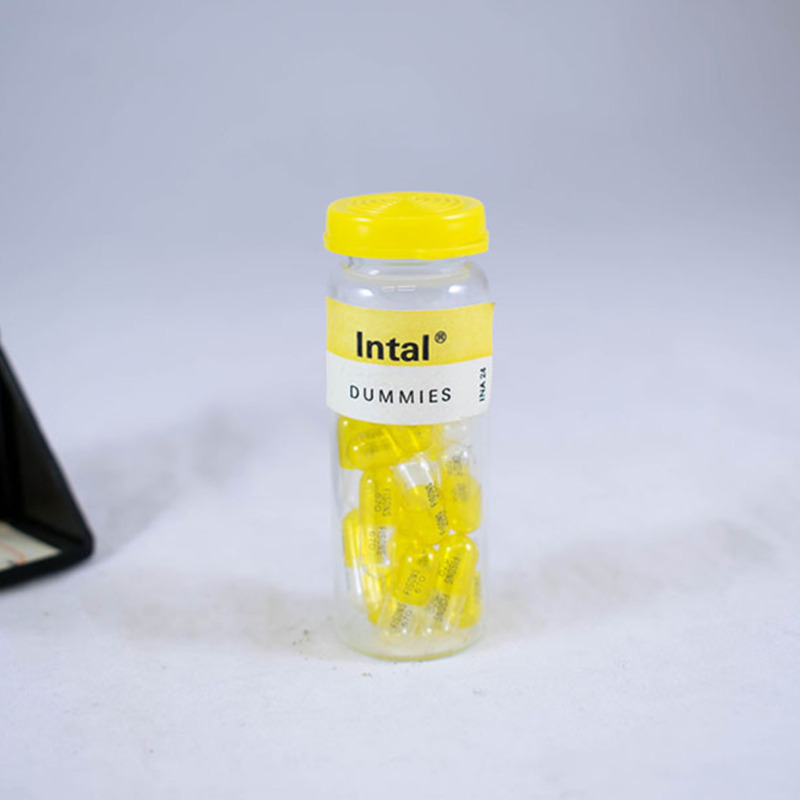 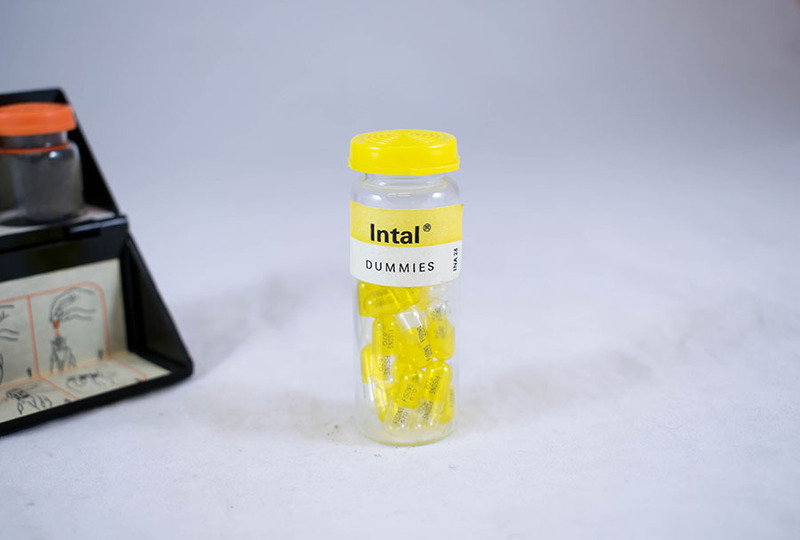 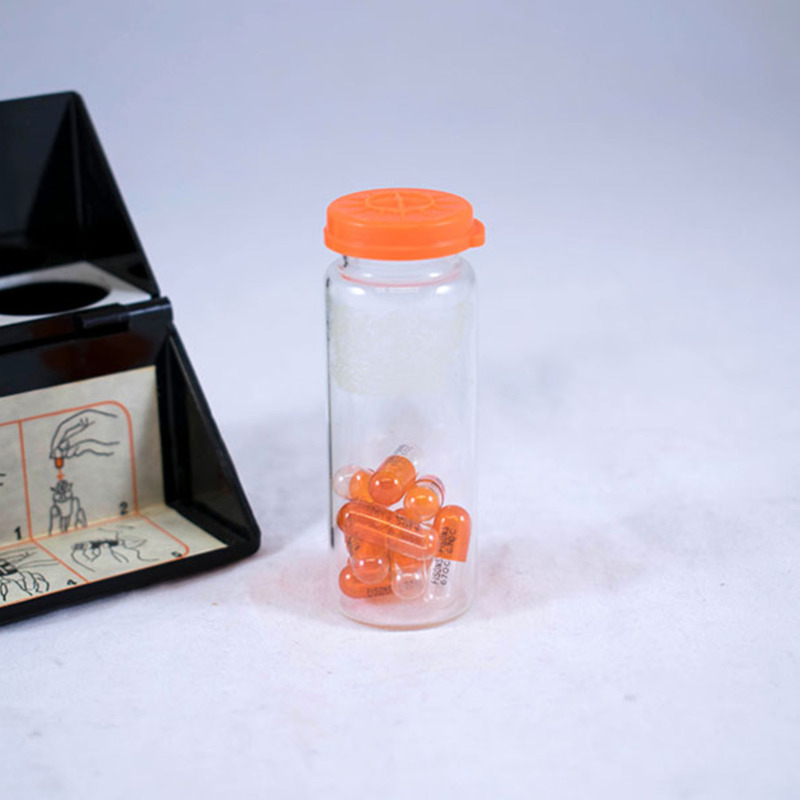 Plastic box containing "Spinhaler" dry powder inhaler (DPI) and 2 bottles of dummy/placebo capsules. 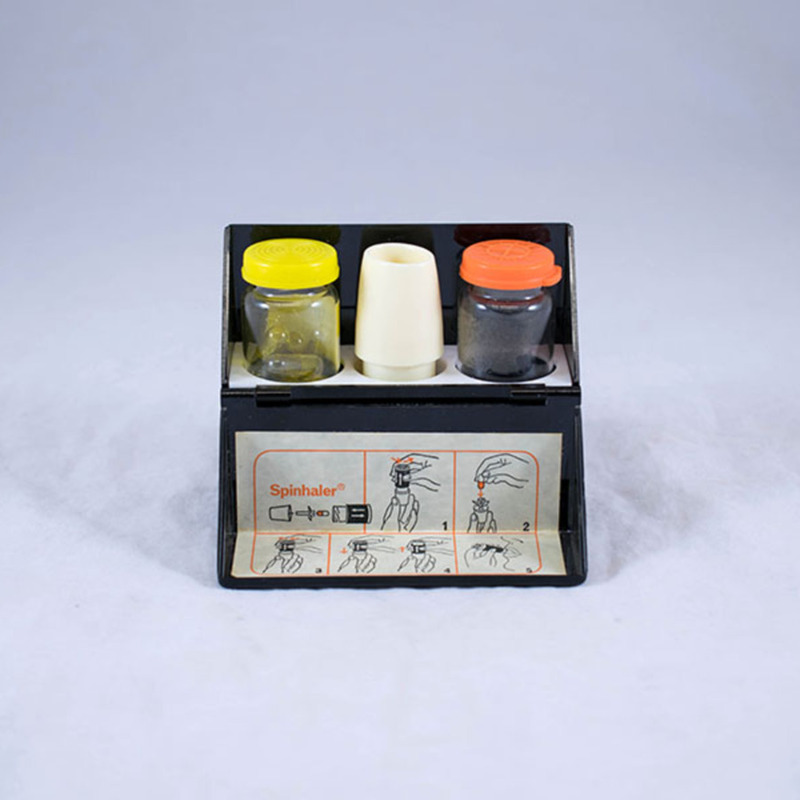 Instruction diagrams are printed on a label inside the box. 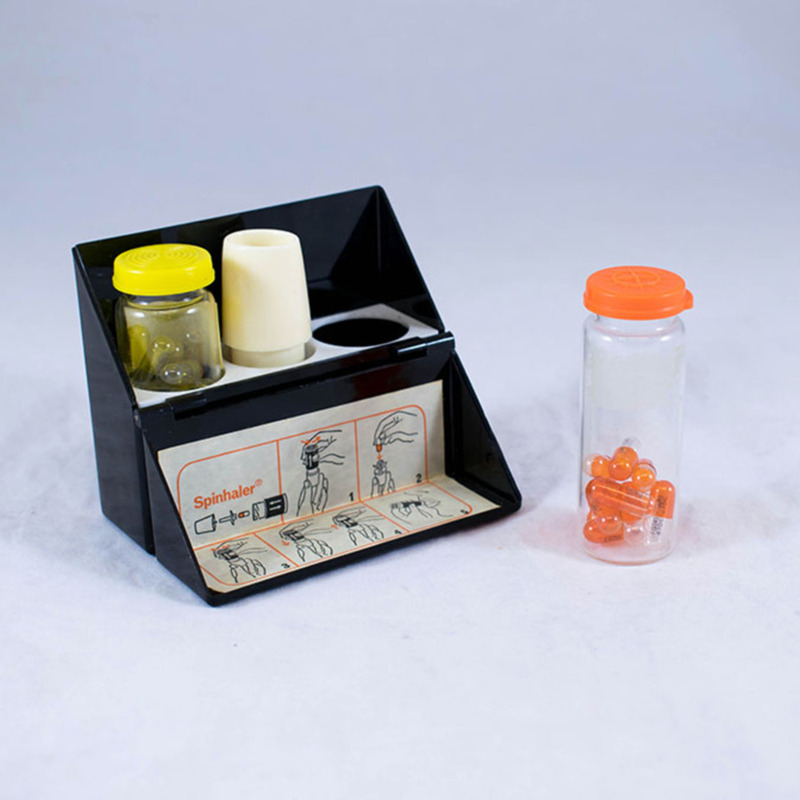 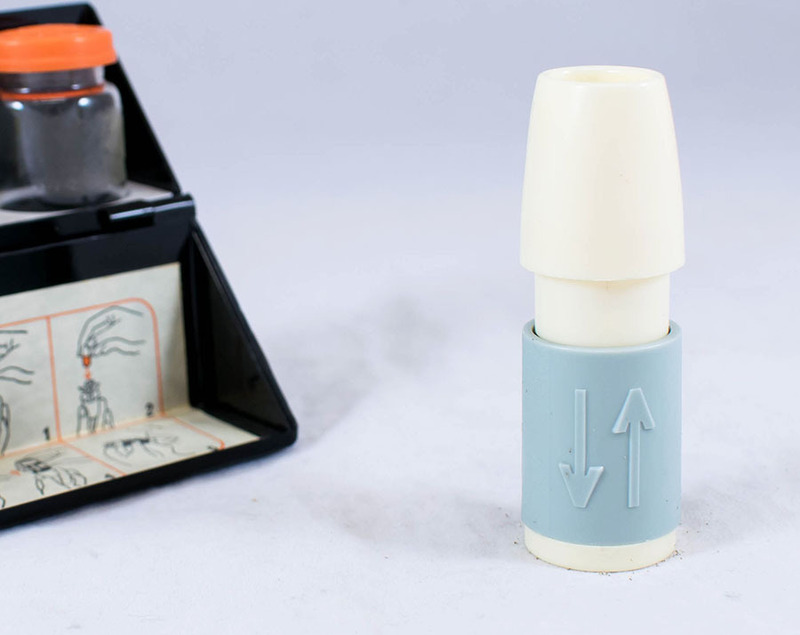 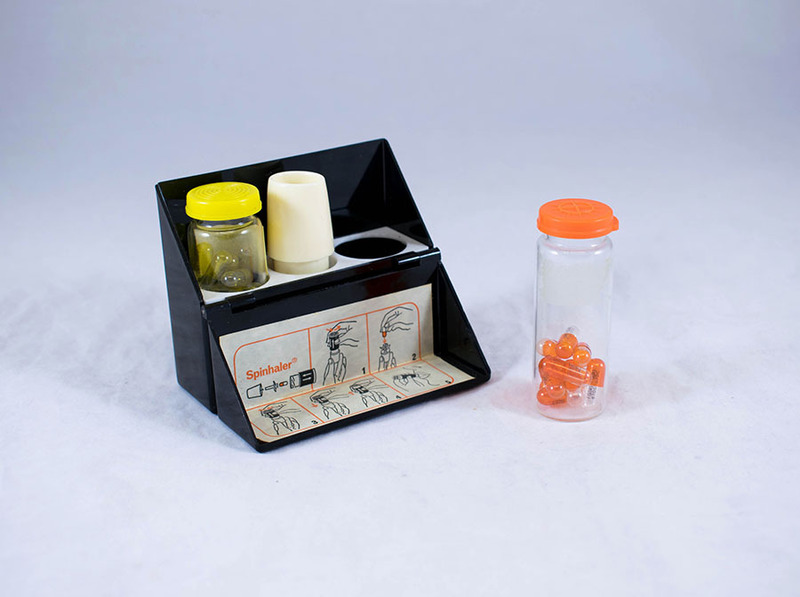 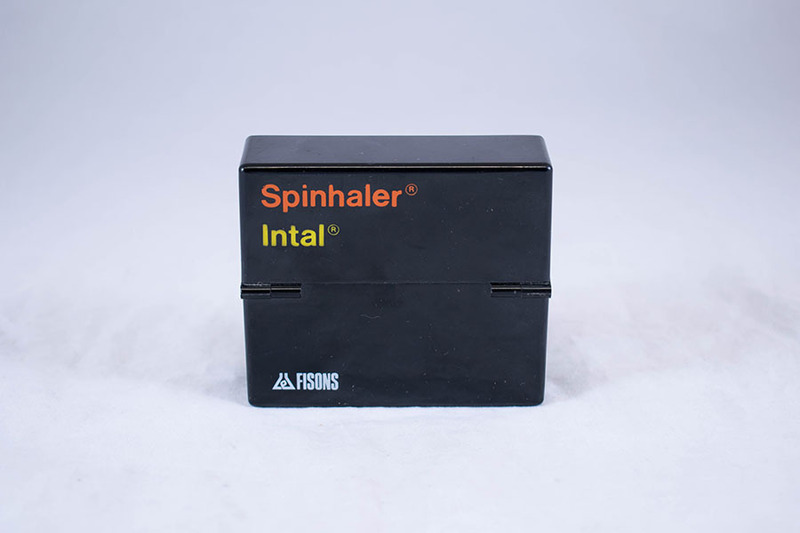 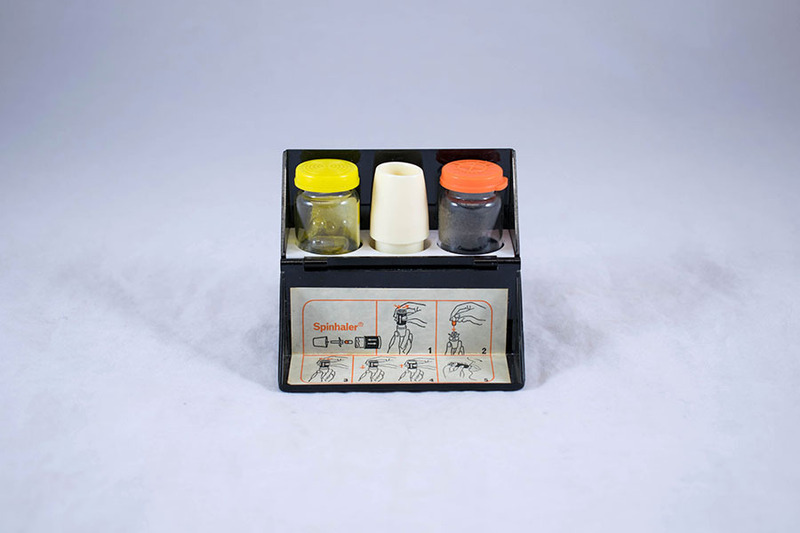 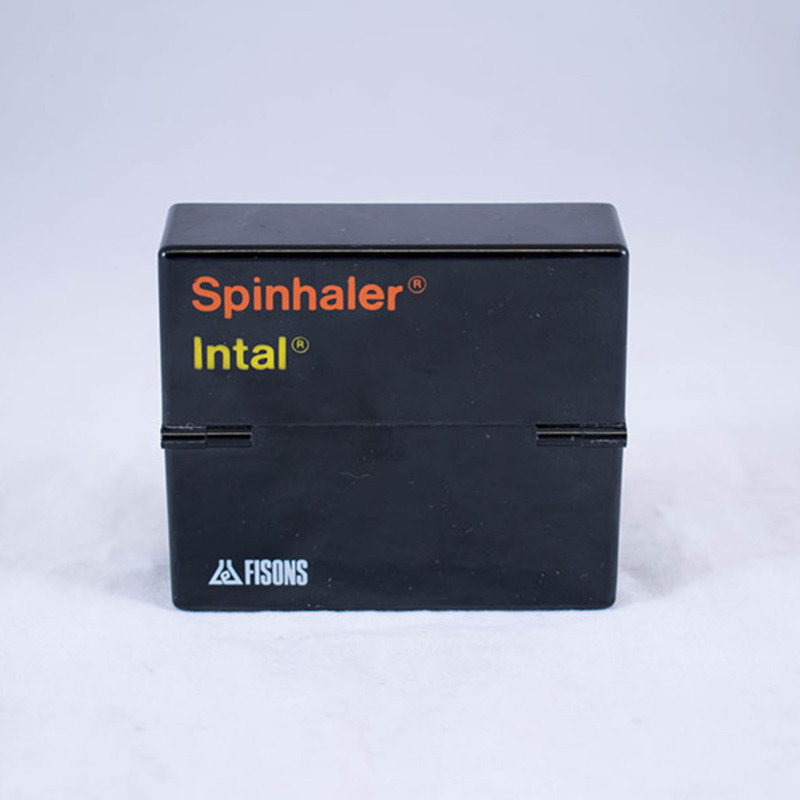 Fisons Pharmaceuticals; 1843-1995; Pharmaceutical company, “Spinhaler inhaler set,” Heritage, accessed April 20, 2019, https://heritage.rcpsg.ac.uk/items/show/1016. 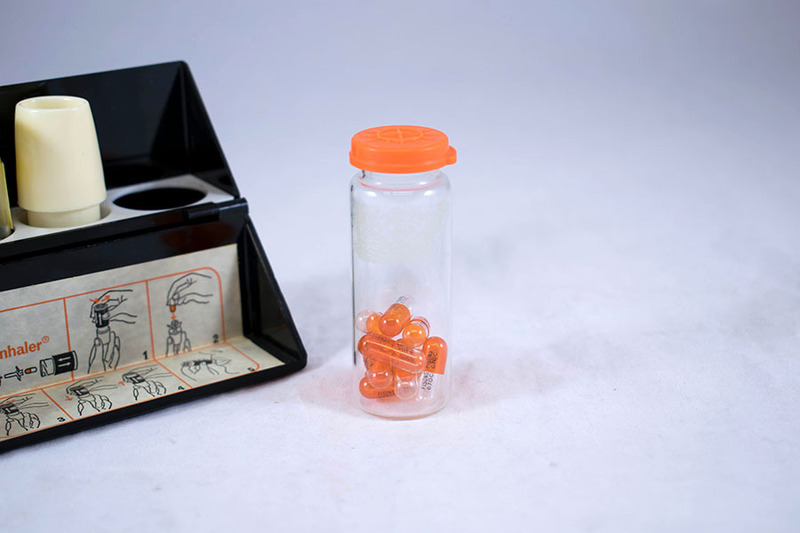 Description: Plastic box containing "Spinhaler" dry powder inhaler (DPI) and 2 bottles of dummy/placebo capsules. 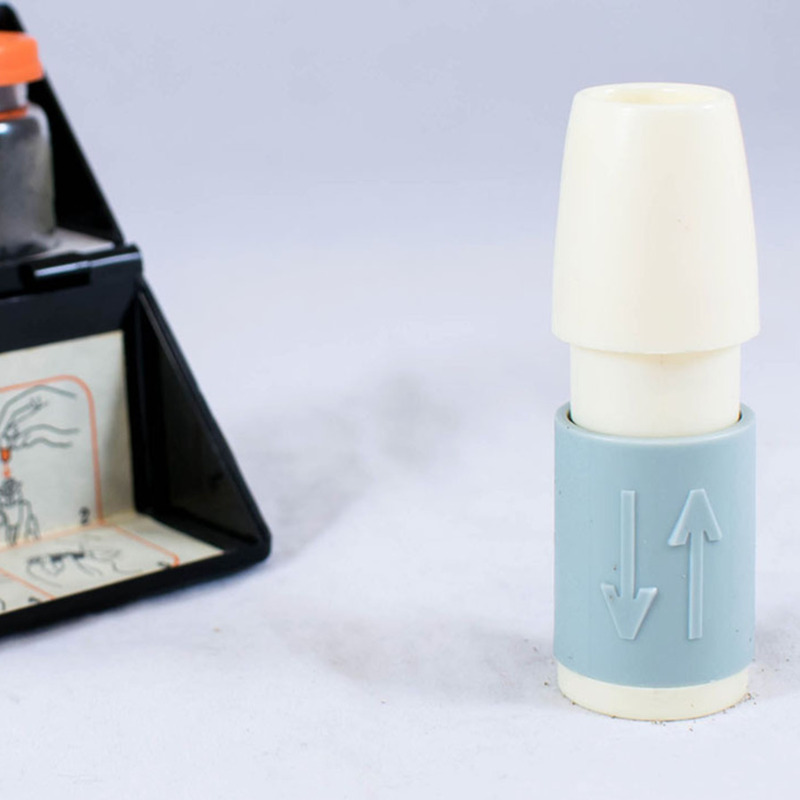 Instruction diagrams are printed on a label inside the box.